An aviation museum outside Moscow, Russia, which has the largest collection of Soviet-era aircraft in the world, mostly military but also including a few iconic civilian planes. 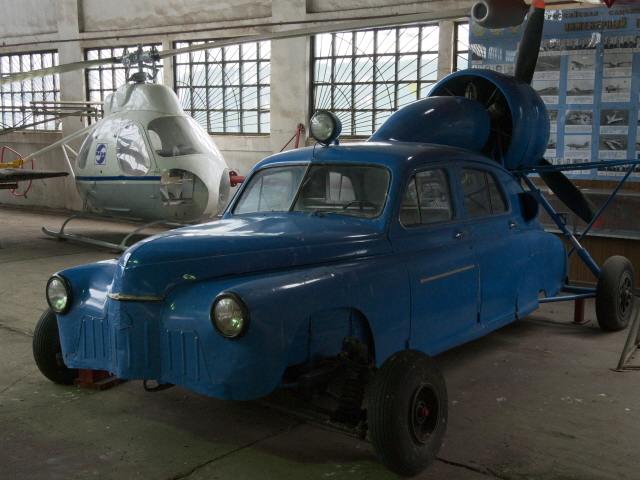 It showcases the achievements, ingenuity but also often ill-fated exaggerations (in size and performance ambitions) and downright weirdness of Soviet designs. It covers the USSR's aviation history from its beginnings, through WWII and the Cold War and (almost) up to today. It takes a bit of determination and effort to make it out to Monino independently, but for anybody remotely interested in these things it's absolutely worth it. Alternatively you can also go on (quite expensive!) guided tour excursions from Moscow by car/van. More background info: The history of Soviet aviation is fascinating, especially from WWII and throughout the Cold War era and into the present day. The country's aircraft industry was comparatively low-key until the invasion of the USSR by Germany in 1941. But it then quickly developed and produced some hardy fighter planes to assist in kicking the Nazis back out and ultimately winning the war. In the Cold War era the pressure was great to compete with the USA and its almost boundless funds and highly developed industry. But with the help of a little “reverse engineering” of American planes (i.e. copying them) they got off to a decent start. From the 1950s onwards, Soviet home-grown ingenuity really came into its own with ever more ambitious, at times outlandishly futuristic designs. Not all of them worked, but it was a golden era for aircraft design. As the decades went on, some reverse-engineering came back, e.g. in the case of the supersonic passenger jet Tu-144, which bore more than just a passing resemblance to Concorde (but flew first!) or the Ilyushin Il-62, which looked pretty similar to the British VC-10. Military aircraft also increasingly took inspiration from foreign designs, e.g. the fabled MiG-29, which took on various elements from US jets such as the F-15. But there is also at least one example of the flow of technological expertise going the other direction. The Soviet Yakolev Yak-141 design of an advanced VTOL jet was later passed on (sold?) to US manufacturer Lockheed (they called it “collaboration relationship”) to form the basis of the USA's current fifth-generation single-engine military jet, the F-35. Apart from being intertwined with the history of the Cold War and other wars (e.g. some of the plane designs on display at Monino were deployed in Syria in 2015, e.g. the Su-24 strike aircraft), Soviet aviation history also had its disasters, such as the spectacular crash of a Tu-144 at the Paris air show in 1973. So there's enough to justify this museum as qualifying as a dark-tourism attraction too. It's not solely for aviation tech buffs alone. 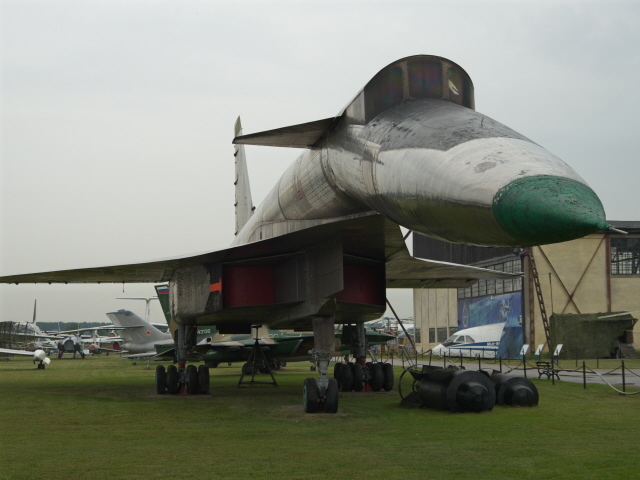 The museum was founded in 1958 at a redundant airfield next to the Russian Air Force Academy and opened in 1960. Its collection grew constantly over the years and today it comprises more than 170 aircraft, including many absolutely unique prototypes not found anywhere else in the world. Like many other specialist military museums in the USSR it used to be off limits to foreigners in Soviet times (or at least required applying for a special permit), but that has long since changed. Originally run by the state, the museum became independent in 2001. A major setback was a fire in 2005 that destroyed much of the original museum's main hall. Meanwhile, however, a new hall has opened, better and larger than before and providing shelter for some of the more delicate older WWI and WWII-era planes. 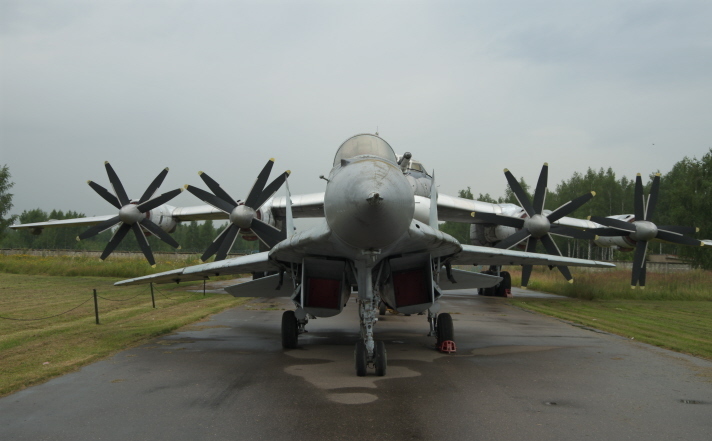 The rest of the collection, however, remains on open-air display exposed to the elements (and Russian winters can be harsh, and summers sweltering), and lack of staff and maintenance funds means that, unfortunately, many of the planes are in a bad state. Around the year 2016, and still in spring 2017, there were even widespread rumours that the museum was threatened with closure. There was talk that some planes might have been scheduled for relocation elsewhere and that all the larger ones were facing being scrapped. However, when I visited the site in August 2017, it seemed pretty much operational, with some planes given at least a bit of a clean and with new facilities in place (including a new museum, toilets and a shop). So I reckon the scare is over. Still, funding remains visibly insufficient and many planes in the far corners, and cordoned off from the visitor circuit, still look very dilapidated, a few probably even beyond repair. It will be interesting to monitor how the museum develops in the future. But I am now hopeful again that it can be saved and will continue to operate for the foreseeable future. It would be a monumental loss otherwise. What there is to see: Once you've finally made it here (see below for detailed directions) and bought your ticket (hold on to it for later! ), you will be ushered towards the beginning of the exhibition within the same building. The first couple of halls start rather underwhelmingly, for me at least. There are rows of different types of piston engines from the earlier days of aviation, plus display cabinets with aviators' uniforms, medals, portraits, personal items and so forth. There are also a couple of very old planes on display, and a few models, and a big painting of the burning Reichstag in Berlin adorns one wall. Overall, though, this is the least interesting part of the museum from a dark-tourism perspective. Moreover, all texts in this section are in Russian only. Adjacent to this part is a larger hangar with mostly planes from WWII (known here as the Great Patriotic War). Some are iconic and well-known from WWII images/films, such as the stocky Polikarpov I-16, a revolutionary design at the time (1930s), which also saw action already in the Spanish Civil War. Another important aircraft on display here is the Ilyushin Il-2, and its successor Il-10 – a ground attack plane that played a crucial role in the defeat of the Nazis on the Eastern Front. It's also the aircraft produced in the largest numbers of any type (over 40,000!). Here the info panels for all the planes come with English translations – not always the best, but it's better than nothing. The info given tends to be quite brief anyway. 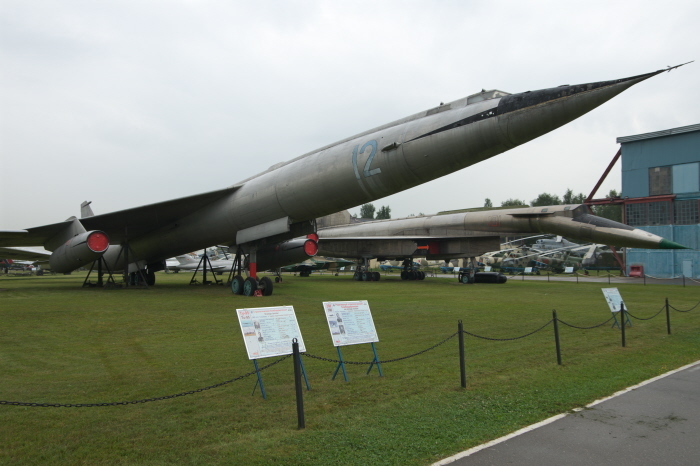 The main part of the Monino aircraft museum is the vast open-air area on the former airfield across the road. And it's here that the really impressive giants and weirdest and most futuristic designs are to be found. 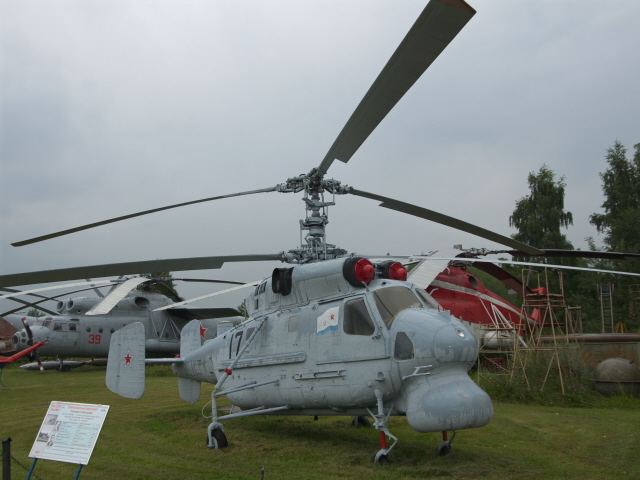 You have to enter through a gate – and show your ticket – and one of the star pieces of the collection is immediately ahead on the left of the path: the Mil Mi-12, the largest helicopter ever built. It's a crazy-looking design with two rotors atop the tips of two “wings” and a huge tube-like fuselage in the middle – not exactly a sleek beauty, but size matters and it is quite impressive. 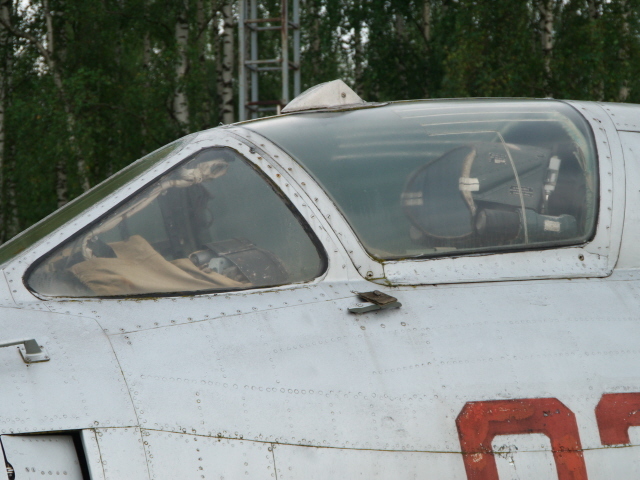 To add to the quaint appeal you can spot curtains on the inside of the cockpit's windows (in case the pilot wants to take a nap instead of the controls?)! It says “Aeroflot” on the side, so I presume this was supposed to be a civilian passenger version of this mega-chopper. Opposite this, to the right of the path, is a very familiar looking plane: a B-29, like the Hiroshima and Nagasaki bombers … only it isn't actually a B-29. It's a Tupolev Tu-4 – a “reverse-engineered” Soviet copy of its iconic American counterpart (see above). It's the first in a row of Tupolevs, since the open-air displays are grouped partly by design bureau, partly by function. Here it's both: Tupolevs, and all of them bombers. Next to the Tu-4 are some iconic Cold War veterans, such as the Tu-16 and both a Tu-22 and a Tu-22M “swing wing” supersonic bomber. Opposite stand the most futuristic designs of the whole collection – and hence probably the superstars of the lot, also because they are so unique. One is the only prototype built of the Myasishchev M-50 supersonic bomber, with two of its four jet engines mounted to the tips of the cropped delta wings! A totally unique design, but ultimately a total failure. It was so weird to look at, though, that images of it served as the alleged “nuclear-powered bomber” in a 1958 hoax article in an American aviation magazine. In reality it was useless even as a nuclear-weapon carrier and the project was scrapped as the USSR focused on the development of ICBMs and on its space programme. Next to the M-50 stands another one of the most extreme designs in Soviet aviation history, the Sukhoi T-4 (also known as Su-100). It was supposed to be a Mach-3 high altitude bomber, but it too was already redundant when it was designed, for the same reason as the M-50 – much cheaper ICBMs took over the role. The T-4 on display here is the only prototype completed and actually tested (it never attained Mach 3, though). The others were all scrapped. So this exhibit is yet another worldwide one-off. Parts of its crazy design are similar to the American XB-70 “Valkyrie”, but what sets the T-4 apart is its “droop nose” for landing and take-off (similar to Concorde and the Tu-144 – see below). In this case the pilots would have no natural forward vision at all once the nose was retracted into its horizontal position. Weird indeed. Behind the M-50 and T-4 are two more successful bomber designs, the Tupolev Tu-95 (NATO reporting name “Bear”) and the Myasishchev M-4 (“Bison”). While the latter was only a marginally successful plane, the Tu-95 became the mainstay of the USSR's bomber fleet (and thus the Soviet equivalent to the American B-52). Yet the M-4 had one rather different claim to fame, through a “hoax”, namely that it misled the Americans to believe in a “bomber gap” in the 1950s. This was partly based on observations at a Soviet air show where a group of ten M-4s made several successive fly-bys, giving the impression of a much larger number of such planes, when in fact it was the same ones repeatedly turning and coming back again. The Cold War era had so many hair-raising stories! Note, however, that I've researched those stories after my visit to the museum – you won't learn about any of them at the museum itself – all the info given on the panels is very scant, usually only two lines or so about the kind of aircraft in question, its designers/test pilots and then some technical specs. That's it. Opposite the T-4 is another hangar and inside you can see some of the craziest, wackiest, and outlandish designs of the whole collection – ranging from stratospheric balloon capsules and mini-helicopters to a cross between a car and a plane and some flying-saucer-like contraptions that look like they couldn't possibly get airborne. Next to the hangar, back in the open air, is a cluster of helicopters, including some very familiar iconic designs. You can't see the ones at the back very well, as the area is cordoned off so you can't get any closer to them. There's another hangar, but at the time I was there it appeared to be closed. Going by what I've read on the Internet, it may have contained some very old machines from the early days of aviation. Maybe it's those that have meanwhile been transferred to the new museum building and hence the hangar is empty? Beyond the hangar follow yet more helicopters and then a large field that the footpath for visitors doesn't go beyond. After the first dozen of yards the grass hasn't been cut in a while and has grown more than knee-high. And it's here that some of the more dilapidated planes can be seen. This includes another unique Soviet design, an 'ekranoplan'. That's a kind of flying machine that makes use of the so-called ground effect (hence also 'ground effect vehicle', GEV) for flying at great speed just above the surface of a body of water such as a lake. Strictly speaking they are not aircraft, but not really boats either, even though they can float and take off from and land on water. They rather constitute a class of their own. The Beriev VVA-14 at Monino is unfortunately in a very sorry state … and barely visible, part-covered by a tarp and parked as it is in the high grass hidden behind some large cargo planes. The latter includes a pretty ramshackle looking Ilyushin Il-76 – one of the most widely-used transport planes of the Eastern bloc (and beyond). 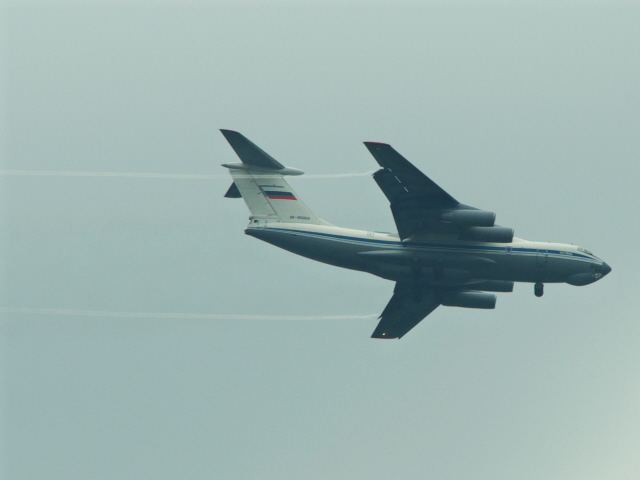 Interestingly, you can also see Il-76s thundering past overhead heading for the nearby Chkalovsky military airport. A couple of civilian aircraft are on display in this area too, including the elegant Ilyushin Il-62 (I flew in one once, namely one operated by Air Koryo from Beijing to Pyongyang back in 2005!). This specimen could also do with a bit of a clean-up. In contrast, the Tu-144 to the left has clearly received at least a bit of superficial TLC recently, looking rather spruce compared to its neighbours. The Tupolev-144 was the Soviet answer to Concorde – in fact it looks so similar that you have to suspect it's not a coincidence. To the pride of the Soviets they even managed to get their version flying before Concorde did. In all other respects, however, it fell well short of all expectations. It lacked the range to be really useful, and although it was used for a short period on scheduled flights between Moscow and Alma-Ata (today's Almaty in Kazakhstan), its service career was short-lived and unglamorous. The lowest point was a very public crash of one Tu-144 trying to show off at the Paris air show in 1973. To the right of the Tu-144, another Tupolev Tu-22M was parked on the tarmac (rather than the grass) when I was there – as if ready to taxi off to a runway. Hence you could get really close to it and its gigantic jet engines. More experimental planes are dotted around on the grass in the vicinity, amongst them various rare or unique designs, including a “mini-space-shuttle”-like glider and an unmanned jet-powered reconnaissance drone. Within the pen of planes from the Yakolev design bureau is the Yak-141, a VTOL (vertical take-off and landing) supersonic jet fighter plane, which first flew in 1987. Though the project was cancelled in August 1991 and thus never got beyond the prototype stage, the plane continued on an unusual career path after the dissolution of the USSR, namely as the test bed for a similarly ambitious design plan by the former enemy USA's Lockheed corporation. So it came that this originally Russian design would later feed into the USAF's current F-35. As the Cold War had only just come to an end in 1991, this Russian-US co-operation had at the time been kept secret (Lockheed only disclosed it three years later in 1994). 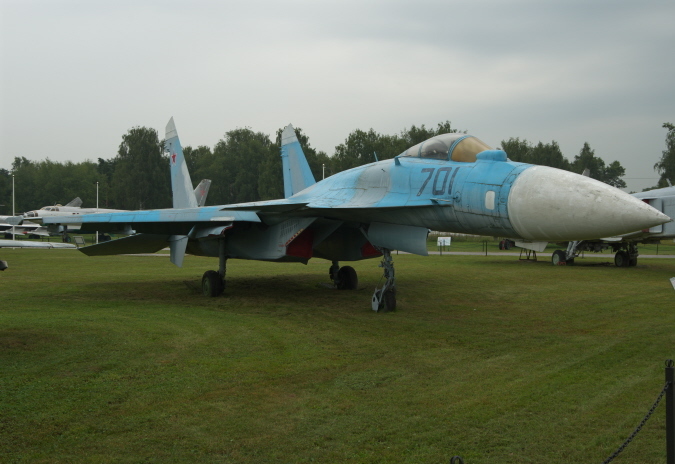 The rest of the collection consists mostly of a range of MiG and Sukhoi fighter jets, including the sleek MiG-29 and Su-27, as well as the stockier Su-24, which are all still in service with contemporary Russia's air force to this day. And thus we have come full circle. All in all, the Monino museum is clearly more for those interested in aviation and wacky Soviet designs, but for such people it's probably the best place in the world. Less tech-interested dark tourists may only vaguely appreciate the WWII and Cold War connections, but given that there is very little information beyond the technical specs and design histories, it'll be of limited appeal. But I found it fabulous! Shame the weather was so grey and rainy when I was there. It might be even better on a fine day. So if you are flexible, check the weather forecast first before heading out here. Location: to the south-west of the little provincial town of Monino, Russia, some 25 miles (40 km) to the east of Moscow. From Monino train station it's a ca. 2 mile (3 km) walk (see detailed directions below). Access and costs: tricky and time-consuming to get to independently, but not expensive – or, alternatively, easy and comfy on a guided tour, but quite expensive. Details: Most foreign visitors apparently use one of the several tour operators that offer private guided excursions to Monino from Moscow by car or van (or coach, for larger groups). Fair enough, if you don't speak any Russian, and therefore don't want to brave public transport, and would rather have an English-speaking guide/interpreter at the site too, then by all means do book such a tour. Many of these tour offers will include pick-up right from your hotel and they'll drop you off there afterwards too. It couldn't be more comfortable and if you get a good guide you may be told lots of extra information on top of the museum's rather scant info on panels accompanying the displays. But: such tours are rather expensive, at least for single travellers or couples. Prices vary a fair bit, but I haven't been able to track down any offers whose price tag per single person didn't make me flinch. You can see some prices advertised that at first look OK, but these usually apply to groups (note the “from” in front of the figure!). For a single person the range is more like 150 to 300 EUR. Don't get me wrong. I am prepared to pay for good service and especially when it's the only way of seeing a certain place. But: I've gone through scores of reviews, and the variation in quality seems to be extreme. In the worst case you pay all that money just for a car ride with some representative of a tour company, who may know absolutely nothing about aviation, and even have to pay the museum admission fee yourself. You could just as well take a taxi then. On the other hand, other guides got raving reviews. So if you want to do it this way, make sure you invest time in shopping around and reading lots of reviews online before deciding on who to book with. However, I became convinced that I'd rather want to do this museum unguided, at my own pace, and with my own selective focal points … and I wanted to have plenty of time for photography. Moreover, it is in fact absolutely possible to get to Monino independently, provided you are halfway mobile (you have to be at the museum anyway, so …), are able to decipher Cyrillic script and ideally have at least some minimal basic Russian. But even without the latter it's doable. The best way to get there is by “elektrichka”, those regional trains that provide services to the suburbs and small towns around Moscow that are beyond the reach of the metro. To get to Monino you have to go from Yaroslavsky station, which is next to Leningrad station and opposite Kazan station. The metro station for this cluster of train stations is Komsomolskaya, served by Line 1 (red) and Line 5 (brown – the circle line). Inside Yaroslavsky station you have to make your way to the far end, past the long-distance trains departures board, waiting hall and associated ticket windows. Turn left just before the doors leading to the platforms and enter the hall with regional departures ticket booths. There are boards where you can check the departure times. Monino is served relatively frequently, but only few trains are express (stopping only at major stations en route). I decide to pay the small extra charge for an express service to save on transit time. By express train it was just under an hour (that's faster than by car, by the way!). The ticket cost a bit over 200 RUB, one-way. You can get return tickets too, but I wanted to remain flexible with my return time (since, as I understood it, tickets were bound to specific train numbers – though I've also read that regular tickets are valid for any train). So I rather paid for another single ticket in Monino for the way back, as I couldn't predict how long I'd spend at the museum. At the row of ticket windows try to identify one that has an English-language symbol and try your luck there. Otherwise you'll have to brave it in Russian. It might actually just about suffice to simply hold a single finger up and saying “Monino” (pronounced more like “moh-nee-nah” ['mɔnɪna], not “mow-nee-nah” [*məu'ni:nə]) plus “express” (they're also called “Sputnik” here) and handing over a 500 RUB note or flexing an electronic payment card. Together with your change you'll be given a flimsy little piece of paper that looks just like a mere receipt, but this is your ticket! Observe the electronic boards to find out which platform your train will depart from (it may be announced only a short while before so be alert). You then have to use the bar-code scanner at the entrance to the platform you need to get the turnstile to open. Hold on to the ticket after that, as there may be conductors inspecting tickets on board the train too (happened to me on both the outbound and the return journey). From Monino station you have to walk the rest (ca. 30 mins.). First use the footbridge to get to the correct exit – looking in the direction the train came from you need the left one, the side of the station that looks somewhat less busy. I added a few photos at the end of the gallery below to illustrate this clearly enough – also steps along the walking route to the museum. After exiting the station you pass a long row of shops (get provisions here, if you need any, because there isn't much en route or at the museum itself), then turn left at the Слава Советским летчикам monument involving a golden pilot with helmet in hand. Then basically keep going straight down ul. Marshala Krasovskogo. Just after passing the rather dramatic ruin of a skeleton of a building at an abandoned construction site you come to the gate of the Air Force Academy. You can take a peek through the gate to marvel at the Soviet mural on the side of one of the barracks buildings. But you'll have to continue your walk by turning left (despite what Google maps directions may tell you, you can't continue straight on – the gate is locked and you don't want to trespass into a military compound!). Then walk all along the fence around the Air Force Academy, first turning right into ul. Belyakova and eventually (by some tall block of flats) right again and then left. It now looks like you've reached the edge of town (you nearly have indeed) and next you have to fiddle through a wooded area on unpaved paths – but fortunately there are now signs showing the way saying “Центральный Музей ВВС” or just “BBC” (i.e. VVS in Latin script – nothing to do with British broadcasting). Just a few steps onwards you'll see the paved road leading to the museum car park and a large billboard-sized sign on the right marks the museum beyond any doubt. From the entrance make your way to the left to the blue-roofed building and find the ticket booth (“Касса”) inside. If you require even more detailed directions and assistance with the Russian-language bits involved, you can also check out this old website (external link, opens in a new window) – some of the details about the station, the characterization of the trains and the museum are slightly dated, but the directions are still current. Note that the museum's opening times seem to have changed in recent times. The latest I found advertised was Wednesday to Friday and Sunday 9 a.m. to 5 p.m., and only to 4 p.m. on Saturdays and days before holidays. Closed Mondays, Tuesdays and every last Thursday of the month. Last admission an hour before closing time. This is the information currently available on the museum's own website. But I've also seen different times on various websites about this site, often stating that the museum is closed on Wednesdays and Sundays. So to be on the safe side better make it a Friday or Saturday. Admission prices stated on various websites, including the museum's own, vary a bit too, from ca. 150 RUB to 350 RUB. There's an additional fee payable for a photography permit (I think I paid 250 RUB or so, but going by reviews I've read prices seem to have varied a lot in recent years, so it's likely to change more), and an extra one is levied for videoing (which I declined – the planes are all stationary anyway, so what would be the point). Time required: I spent about an hour and a half there – probably sped up a bit by the lousy weather. Most guided tours allow for about two hours at the site, and factor in 2-3 hours total driving time (i.e. ca. 5 hours in total). The train journey takes one to one and a half hours plus you have to walk from the station to the museum and back adding roughly another hour. So basically it's between a half-day tour and a full day. Combinations with other dark destinations: Those who like a bit of dilapidation and abandoned buildings/ruins can find various examples of that here in Monino. In fact you will pass a few on the way from the station. I don't know if you can enter and explore any of these. I did not attempt it. There's also a statue to “mourning mothers” (of dead aviators I presume) a bit to the south-east of the big apartment block close to the approach road to the museum. But for any further dark-tourism sites proper you'll have to go back to Moscow. Combinations with non-dark destinations: nothing really, unless your thing is sleepy, creepy little provincial towns like this. Better head straight back to Moscow.